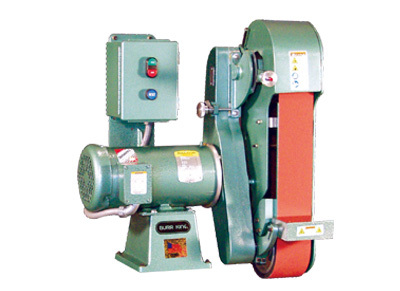 Available in easily adjusted variable speed and aggressive single speed, 2-1/2" x 60" or 4" x 60" belt models. Model 960-400 shown with optional magnetic starter. Model 960-400 has a standard 60" belt up to 4" wide and can be bench or pedestal mounted.